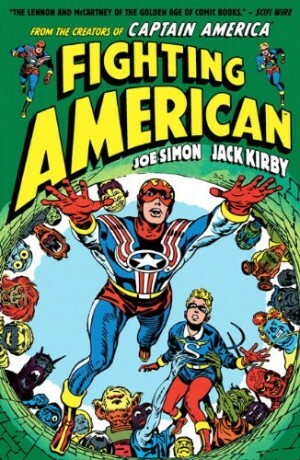 There has been no shortage of volumes reprinting the groundbreaking work of Joe Simon and Jack Kirby in recent years from DC and Marvel, and even from Fantagraphics Books. 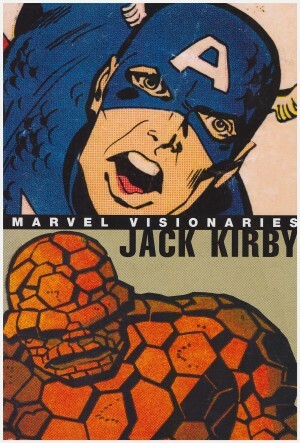 The Kirby memory has been kept alive by The Jack Kirby Collector since the 1990s, and others like Greg Theakston (Pure Imagination) and Craig Yoe (Yoe! 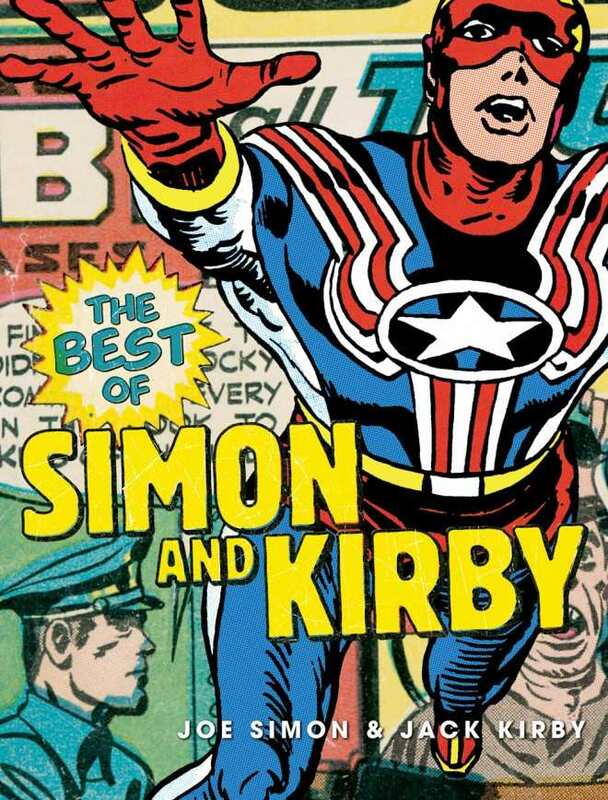 Studio) have taken it upon themselves to keep some of the older Simon and Kirby comics in print, especially material having fallen into public domain. A better deal was the one made by Titan Books who worked with the families of Simon and Kirby to release the lavish Simon and Kirby Library series. So far, they have issued collections related to superheroes, crime, horror and science fiction. The volume that started it all was The Best of Simon and Kirby. This collection features stories approved by Joe Simon, who provides an introduction, plus essays from Mark Evanier. 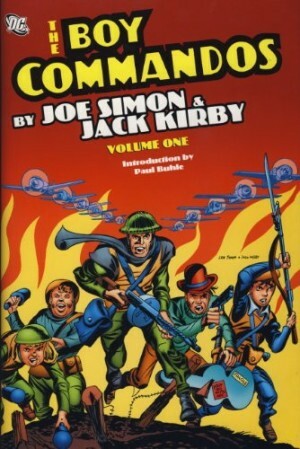 Best of… compilations are always subjective, so this volume picks samples from the various genres Simon and Kirby had pioneered and excel in – superheroes, science fiction, war, romance, crime, Westerns, horror and, of all things, sick humour. The art restoration values are high and readers are not shortchanged with just a collection of public domain stories. 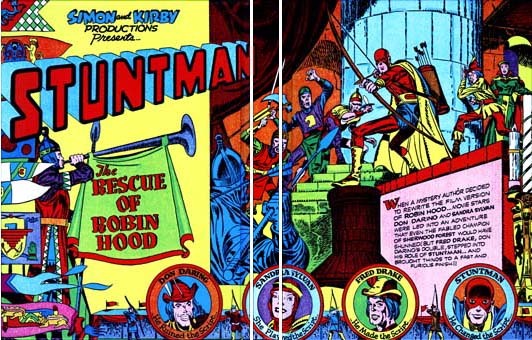 Captain America and the Boy Commandos appear through arrangements with Marvel and DC, although some of the stories are clunky and haven’t dated that well. Take the example of ‘Captain America and the Riddle of the Red Skull’ from 1941. The dynamism of Simon and Kirby was there almost right from the start as could be seen in the explosive punch Cap gave to the Red Skull on page 11, which launched the latter to the next panel. But some of the layouts in the other pages were counter-intuitive and required the use of arrows to guide readers. It makes for a clumsy reading experience and one could sense that Simon and Kirby were still figuring out the language of comics as they were going along. However, much the innovations they instituted in these early comics would form the basis of action comics as we know them. Not all the gems were a result of the collaboration between the two. This volume allows readers to discover Simon as a strong storyteller in his own right. The Blue Bolt story from 1940 is a delightful way out sci-fi take on the old Romeo and Juliet premise – never the twain shall meet for the hero and alien queen who are attracted to each other. Simon draws an arousing alien queen as well as any. At the conclusion she proclaims: “He is gone! I shall never stop fighting him — or loving him!” Sounds like modern romance to me. Simon and Kirby would elaborate and expand on these ‘love him but I hate him’ plots when they pioneered romance comics in the late 1940s. 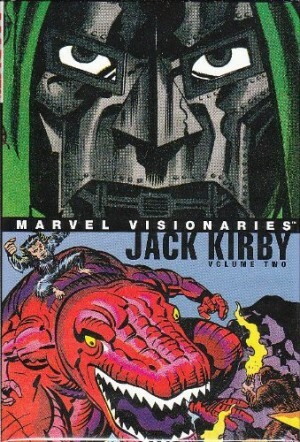 This book deserves to be on the shelf of any Simon and/or Kirby fans. It can only be topped by The Art of the Simon and Kirby Studio (2014).